offices serve, the advantages and limitations of the different types of branch offices and set-up of the administrative organization. Since the start of its reforms in the early 80’s of last century, China’s economy has been developing rapidly with a growth rate of more than 8% year on year, transforming the Chinese economy into the world’s second largest economy in terms of size. Historically economic development has been strongest in China’s eastern regions. In order to reduce regional disparities and accelerate economic development, from 2000 onwards China actively coordinated development strategies and policies for its central and western regions. Throughout the country, local markets mature and new markets arise providing business opportunity. Organizations seeking expansion for their operations in China have a number of options to facilitate business development. When the expansion requires a formal presence in a new location, organizations have the possibility to enter the local market via either the establishment of a new legal entity or via the establishment of a branch office. Both domestic and foreign invested companies consider branch offices to be a popular investment vehicle for fast expansion in China due to their comparable low incorporation requirements including no capital requirements and easy maintenance, but allow for a formal representation. 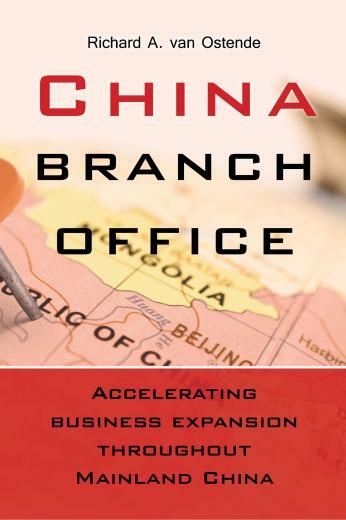 The information in this publication is not exhaustive, but aims to provide entrepreneurs with an in-depth understanding of the purposes China based branch offices serve, the advantages and limitations of the different types of branch offices and set-up of the administrative organization. The requirements timeline for incorporation as well as the means for the parent company to exercise control over the branch office are discussed in detail. Venture subsidiaries of companies of European origin. From these capacities he has been closely involved in the strategic decision making process and the establishment process of branch offices in Mainland China as described in this publication.